Each project and each client represent a unique solution. However, they all have one thing in common, which is independent from the system scale: how systems transform solar energy into electrical energy. Photovoltaic (PV) solar energy is obtained through the transformation of solar energy into electrical energy through a photoelectric effect, which consists of the emission of electrons (electric current) that are produced when light hits certain surfaces. In the case of PV solar energy, these surfaces are cells formed by one or more panels of semiconducting materials, in most cases silicon, and are covered by a transparent glass that allows solar radiation to pass through and minimizes loss. 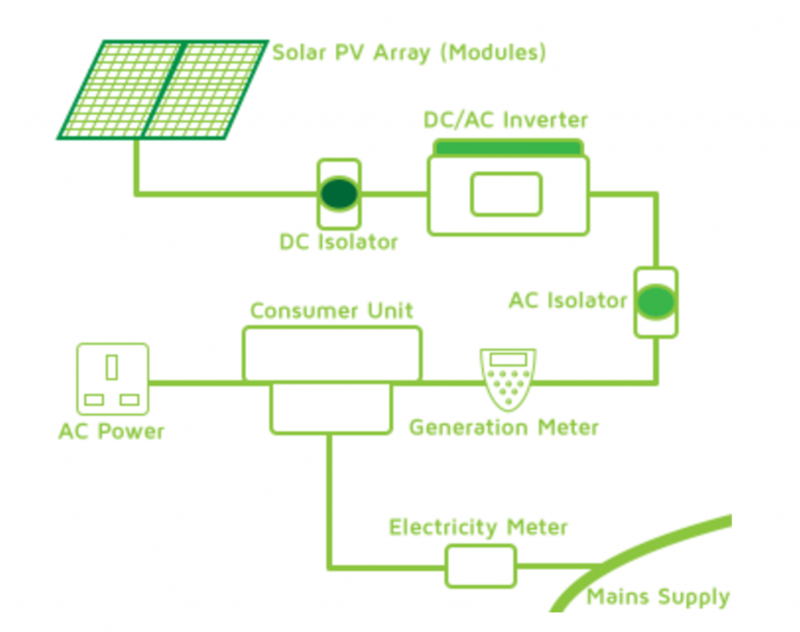 Cells are grouped into modules (panels) for integration into PV systems. Solar modules have an estimated life of 25 years and their performance after 20 years is above 80%. Regardless of this, there is ongoing research to increase their efficiency. PV modules generate DC power that is transformed into AC power through the use of an electrical device called an “inverter”. Subsequently, and as necessary, the electrical energy that is produced goes through a “transformation center” that adapts the electricity to the power and tension conditions of the transportation line for consumption. In addition, there is usually the incorporation of a monitoring and data management system that enables tracking of the energy produced by the PV solar system. In Colombia, every client that has self-generation systems, as is the case of PV solar systems, must have a Bi-Directional Meter.